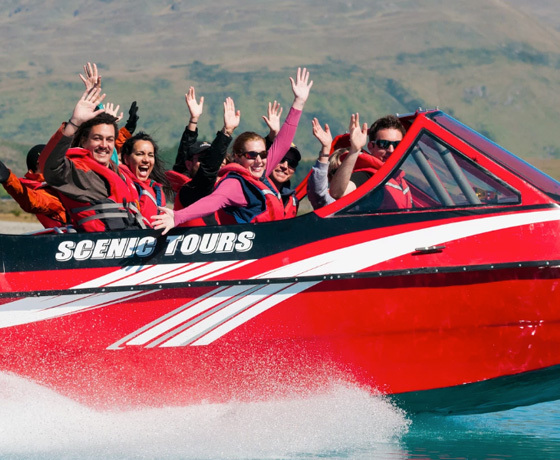 Without question, Tekapo Jet is the most spectacular way to view the captivating beauty of Lake Tekapo. Your journey with them starts from Pines Beach on the southern shores of the lake. 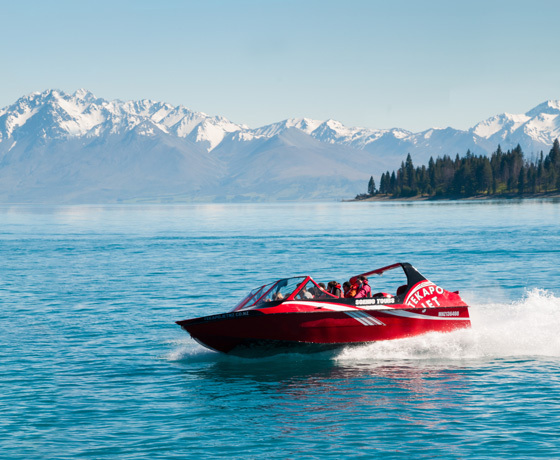 From there, you will head up the lake and around Motuariki Island. You will be treated to gorgeous views of ancient glacial valleys and remote high country sheep stations in the distance. 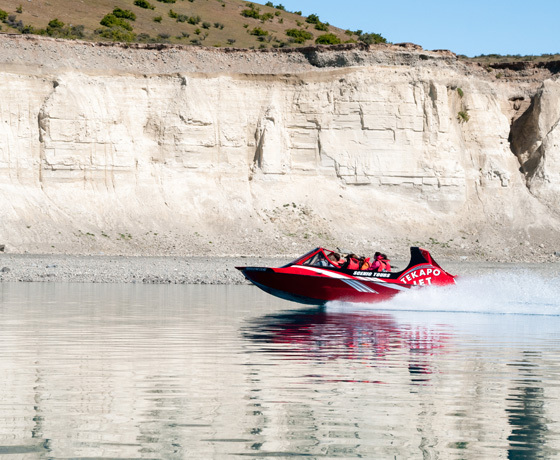 Their professional drivers will provide an informative commentary about the lake, its rivers and its majestic surroundings. Enjoy marvelling at the beauty that surrounds you! 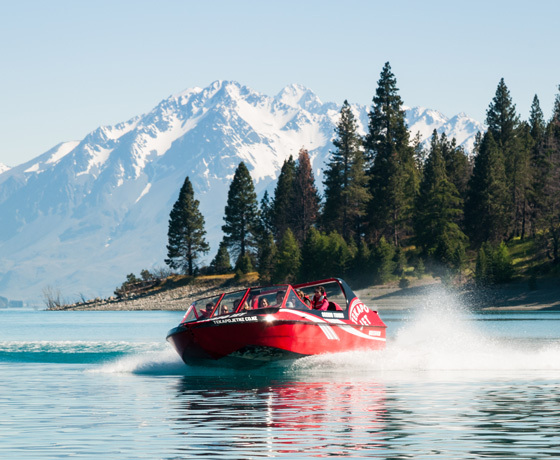 How to find the Tekapo Jet? We will pick you up from either your local accommodation, the Church of the Good Shepherd or the bus stop in town. Please advise us of your preference when you book. We will return you at the end of your tour.